Former Manchester City boss Roberto Mancini is in line to make a surprise return to the Premier League, reports the London Evening Standard. The Italian is currently with Zenit St Petersburg but could be called upon by West Ham if results don’t improve, with the east Londoners rock bottom of the Premier League after three games and three defeats. Newcastle’s Rafa Benitez is the favourite to replace Slaven Bilic if David Gold and David Sullivan do decide to axe the former Croatia boss. This isn’t the first time Mancini has been linked with the Hammers, as he was one of the names in the frame when they were struggling last season. As their fortunes don’t seem to have improved, Bilic is under enormous pressure especially given that the board feel they’ve backed him in the transfer window. That conviction may be flawed, given that there are issues with quite a few of their signings. Joe Hart had a difficult loan spell at Torino, Pablo Zabaleta is now 32, and Marko Arnautovic had a disappointing final season at Stoke. 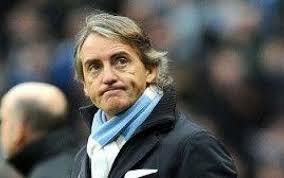 Mancini is still held in high esteem in English football after winning the title with City in 2012. Could Arjen Robben be heading back to the Premier League?